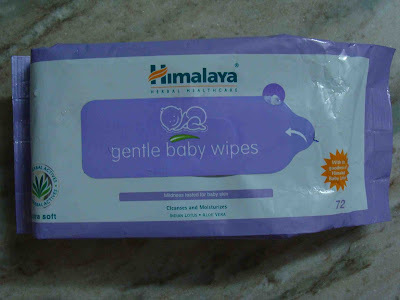 Himalaya Baby Wipes, another favorite baby product. Wipes gently. Kills germs effectively. Gentle cleanup, each time, every time for babies. Made with hypoallergenic formula and containing natural ingredients like Aloe Vera and Indian Lotus, the wipes are the ideal choice for cleansing babies' delicate skin. The wipes gently clean and moisturize a baby's skin, and are pleasantly scented. Cleanses, Moisturizes and keeps the delicate baby skin soft. An effective combination of herbs that moisturizes and keeps your baby's delicate skin soft. Aloe Vera ensures moisture balance to keep your baby's skin soft and supple. 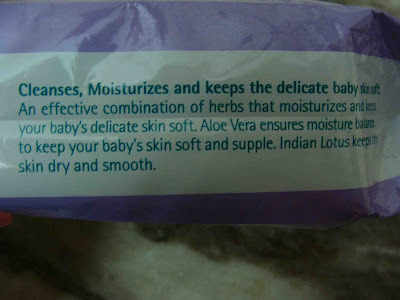 Indian Lotus keeps the skin dry and smooth. Rs.140 for a pack of 72 wipes. The wipes are available in a pack of 12's and 24's as well. Himalaya baby wipes packaging is pretty nice and easy to use. It has a reseal able flap in the middle of the cover. The wipes are so arranged that when pulled, only one wipe come out at a time. Each wipe is a wet cloth like, which ensures a smooth and soft feeling when used. These wipes are 100% herbal, cleanse skin and keep it moisturized. Himalaya claims that the wipes have goodness of Himalaya baby lotion. This product is very mild suitable for the soft baby skin. I have a pack that has 72 wipes. I bought this to use for my daughter. This comes very handy when she pees or potties. 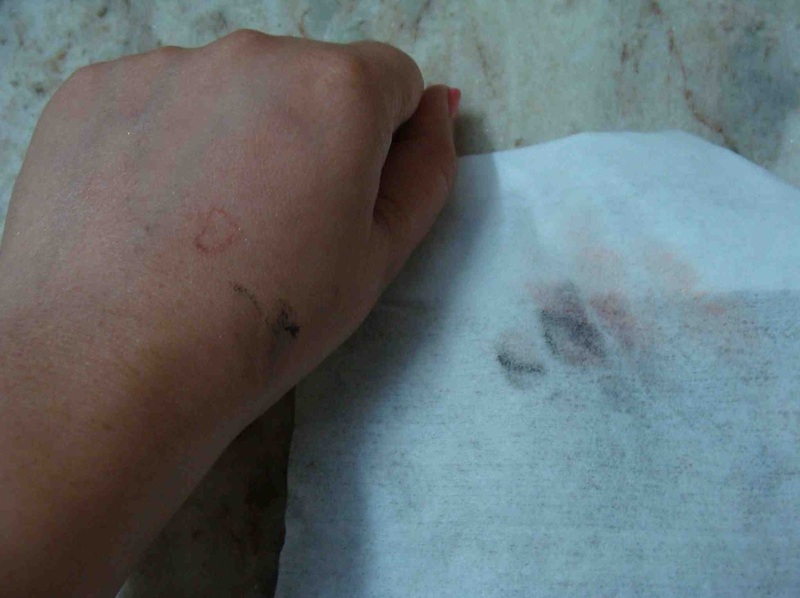 Himalaya baby wipes have prevented rashes that might have caused if dry tissues or clothes were used. I wipe her under arms and neck as well with these wipes. Baby products can be used by adults too. :). 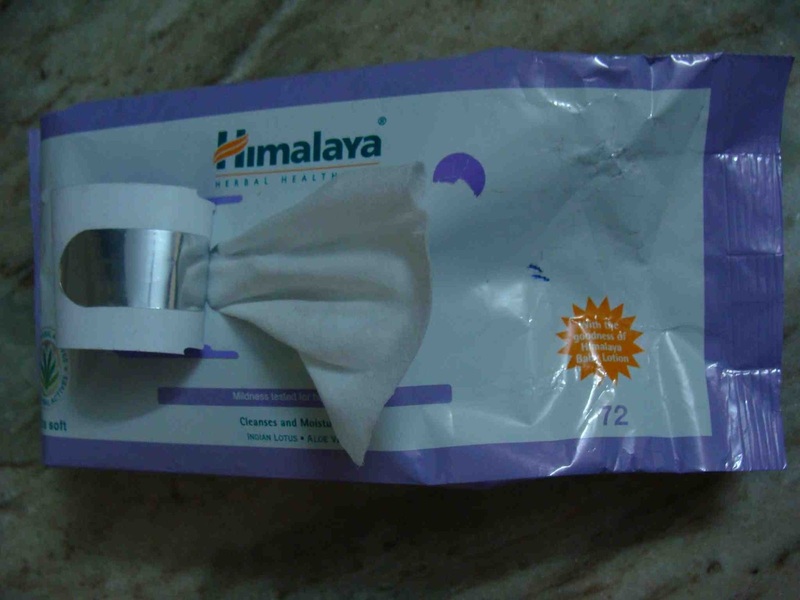 I have replaced my tissue pack in my vanity with Himalaya Baby wipes. When I am too tired, I wipe my face off with these wipes. I instantly get freshened as though I have washed my face with water. These wipes are a must when you are traveling. Street Wear Stay On Liquid Eyeliner. With one wipe, almost everything is gone. 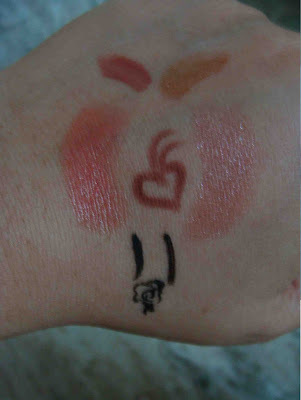 Only a faint trace of Street Wear Stay On Long Wear Lip Liner and Street Wear Stay On Liquid Eyeliner has remained. I will buy this pack again. In fact, I have bought this many a times so far. -Easy to carry and handle packaging. -There is no complete list of ingredients. I didn't want to use anything too harsh (like tea tree oil or witch hazel) b/c it is after all going to be used on a sweet little baby bottom, and the idea is to keep it gentle. Moisturizes the skin well! It is realistic? A new born kid has sensitive skin so that you can use baby wipes to clean baby face, bottoms and hands. They are very useful to have around. Everyone wishes his baby to be happy during ever hour.